A domestic violence victim was evicted from Queensland public housing because a State Government department was more interested in getting rent money than helping her have a safe home, the Queensland Ombudsman has found. Government documents reveal the Department of Housing took eviction action against the woman, despite her request for a transfer after she fled her home because of domestic violence. The Ombudsman found the department was more interested in recovering rent, than helping the victim secure a safe place to live. That was despite pleas from the woman’s support workers. In another disturbing case, a woman became homeless despite appealing to the department for help after her partner found her public housing address “and was abusing her”. The woman asked the department for alternative housing, so her location could be kept a secret. The Ombudsman found the department “failed to provide suitable accommodation” and “failed to advise her of her tenancy rights” as a domestic violence victim. Fleeing the situation, the woman became homeless. In both instances, the Ombudsman was forced to intervene to help the women. In a statement to the ABC, the Department of Housing said it “recognised that these two clients could have been provided better pathways through early intervention, referrals, coordinated support and personalised assistance”. The department would not say if any other victims of domestic violence had been evicted under similar circumstances. The department said it had made attempts to contact one of the women to offer further housing assistance, and it was working with a second woman to find an appropriate home. Both women have had their rental debts removed. The department said it would implement a “domestic and family violence practice guide” to improve its dealings with domestic violence victims, and that this would include more staff training. But support advocate Shaan Ross-Smith said she was shocked by the women’s treatment and asked for a better explanation of how it happened. Ms Ross-Smith said she supported the department’s moves to strengthen their policies around domestic violence. “If you don’t feel safe in your own home, where else can you feel safe?” she said. “Time isn’t on the side of women escaping domestic violence, they need to move very quickly. Damning statistics like these reveal the widespread incidence of domestic violence in Australia, which on average takes the life of one woman a week in Australia. Homicide is one terrible consequence of family violence. Another debilitating effect is homelessness. 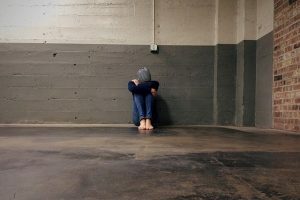 A study by the Australian Institute of Health and Welfare found that between 2011 and 2014, 36 per cent of the people – mostly women and children – who accessed homelessness services in Australia did so due to family violence. 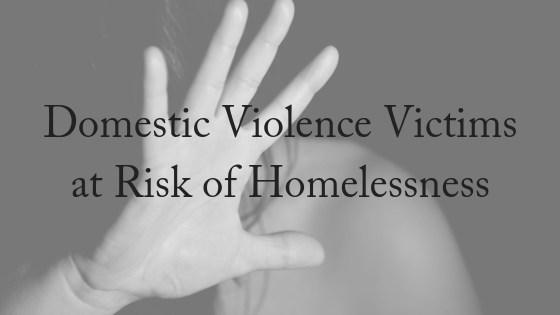 Homelessness caused by domestic violence is closely tied to a victim’s financial independence. In Australia, women are usually economically worse off than men: they are more likely to take time out of the workforce to take on caring roles and to work part-time, and are paid less than their male counterparts for the same work. Some groups of women are higher risk than others. Both Aboriginal and Torres Strait Islander women and women with disabilities are more likely than the average population to be the victims of domestic violence – between 34 and 80 times and 40 per cent more respectively. In many cases, economic and social disadvantage also threaten their access to housing. Women from culturally and linguistically diverse backgrounds, often financially dependent on their spouses or unable to work due to visa restrictions, are also particularly vulnerable. Social isolation plus language and cultural barriers can restrict women from these communities from accessing support and legal services. When a victim decides to leave a violent relationship, it often means leaving the family home. Her options are usually limited: an abusive partner may control finances and her capacity to work may have been diminished by the abuse. If she is leaving with children, she needs to find a safe place for them to stay too. Dr Susan Heward-Belle from the Sydney School of Education and Social Work at Sydney University is midway through a research project into women’s refuges in NSW.Women and children escaping domestic violence were instead being placed into general homeless shelters, Dr Heward-Belle said. “We had refuge workers who were telling us that it was really traumatising for women and children to be housed among other women who were experiencing psychotic episodes or had significant drug or alcohol issues or maybe had just left prison. “They were resoundingly telling us that a kind of one-size-fits-all approach doesn’t work to this problem,” she said. Dr Heward-Belle said her research indicated that some women were choosing to stay in violent relationships rather than take their children into a homeless shelter. “Women would tell staff that they felt that at home at least they had some predictability around the violence and they felt it was harming their children even further by placing them in yet another highly unpredictable situation,” she said. Domestic Violence NSW CEO Moo Baulch said women’s refuges were often, if not always, full. “We know there are women and children living in cars because there’s not anywhere else to go and that’s not okay,” she said. If you need assistance obtaining protection orders or with any aspect of family law, separation and divorce, please contact us today. We offer a FREE, 10-minute phone consultation.